I was walking down the sidewalk in Georgetown with Veronica on Sunday evening and we both were admiring the gorgeous colors of the foliage. We were both wearing sunglasses too. Then I told Veronica to look how the leaves change color when you remove your glasses. 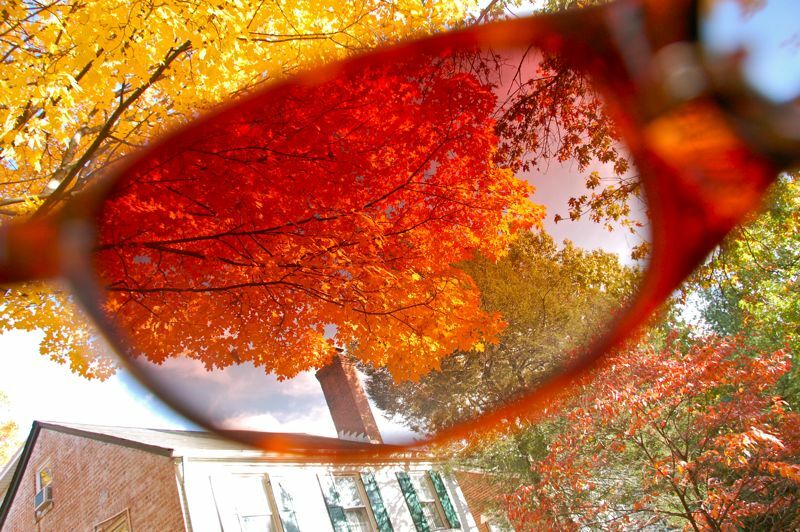 Anyone watching us must have thought us odd standing there taking our glasses on and off to see the leaves change colors. I took a picture of this pretty tree, but this one with my glasses in it was a more interesting shot.